LAST 2 DAYS TO $AVE ON THE GRAND CANYON TRIP!! Reserve your spot now before the Grand Canyon Trip rate increases on June 1st!! Attention Calvary Baptist Church of Clearwater, these are your last 2 days to get the GROUP Discount of $649/person!! Attention ALL others, these are your last 2 days to get the Grand Canyon Trip for $699. On June 1st the rate increases to $749/person!! Get the trip details here. Get Ministry Partner details here. 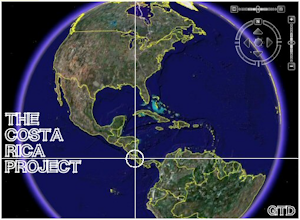 New Links Added To This Site! GTD is thrilled to offer our first ever FREE caving Day Trip!! We usually have to charge $20-25 per person, but we are able to offer this trip for $FREE (and it includes lunch!!). But we only have 20 spots available! Check out our Grunge-2 link and register asap to lock in your spot... before they're all gone!! Introducing GTD's New Shopping Mall!! 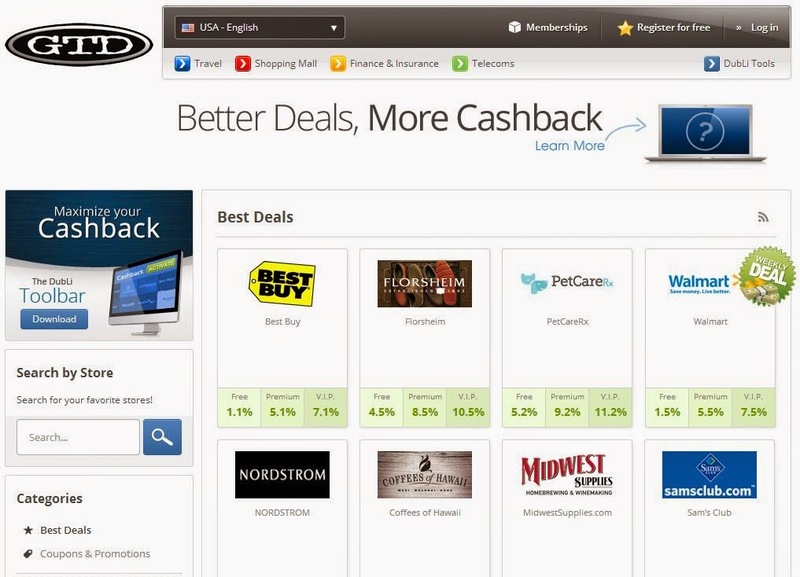 We are excited to announce that GTD is now offering an online Shopping Mall that allows you to make your regular online purchases for everyday items, as well as travel, from hundreds of stores you already buy from like Walmart, Best Buy, Home Depot, Target, Staples, Bass Pro Shops, Apple Stores, Priceline, Expedia, Hotwire, and the list goes on and on. Every purchase you make earns you cash back and earns us a donation. 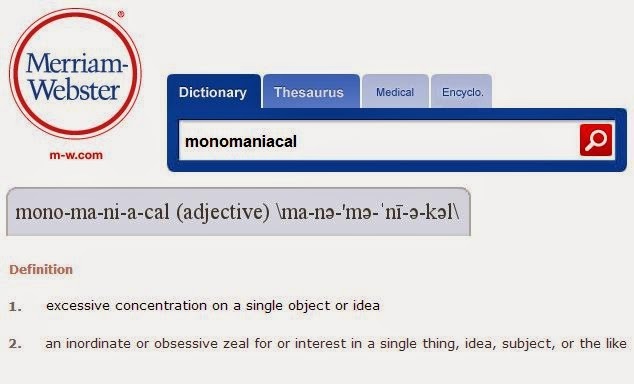 It's a WIN-WIN for you and GTD! You save money, we make money!! It's a great way to support our non-profit cause. We can't wait for our annual Lake Day this Sunday afternoon (full of wakeboarding, inner tubing, swimming, games, food & more) followed by caving the next Sunday with the young adults of First Baptist Church of Indian Rocks!! 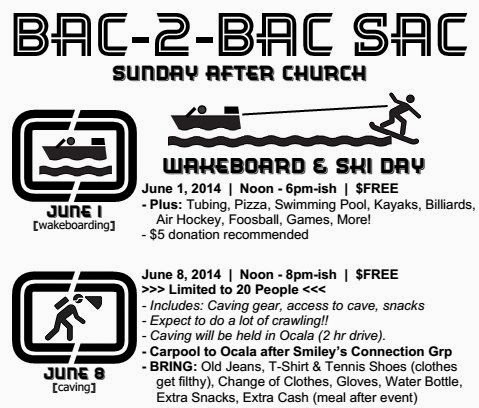 It's our SAC (Sunday After Church) events with Smiley's. If you live in the Tampa Bay area and are in your late teens and early twenties and looking for a vibrant church & young adult ministry to get involved with then check out Smiley's. Today, I had the honor of speaking to the 2nd graders of Cross Bayou Elementary School about the joys of camping. These kids were GREAT! They listened attentively, showed sincere interest, took great notes, and asked excellent questions. It was just another reminder of why our ministry loves kids, invests in kids, and helps introduce them to God's amazing playground - the great outdoors. 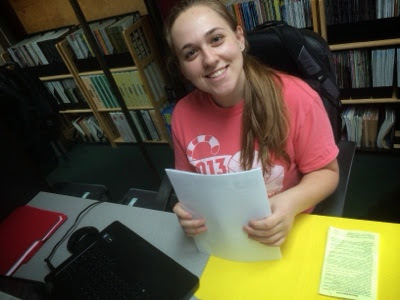 On a side note, one of our all-time best volunteers, Janessa Jannarone, teaches at Cross Bayou. Her daughter, Garcie, is in 2nd grade. 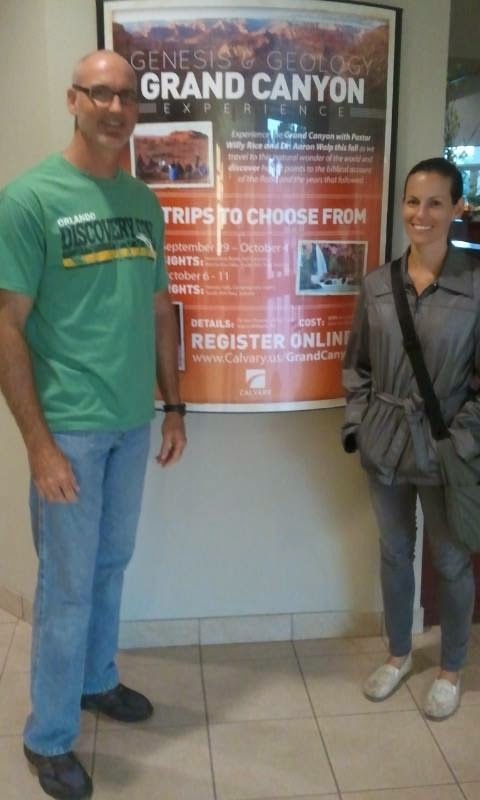 Janessa and her husband, JC, met on a GTD event over 10 years ago. It was wonderful to see Janessa & Gracie and be a part of their camping and outdoor recreation school lessons. The entire class lasted about 1 hour. 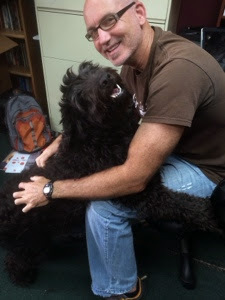 I started with an introduction of myself & GTD and then explained the programs that we run. I showed them a 4 minute GTD highlight video of many of the adventures that await them in the wilderness. The kids loved it. After the video I began to teach them about the difference between base camping (usually done with gear that can be brought in by vehicle) and backpacking (which is done only with the gear that can be carried in your pack). 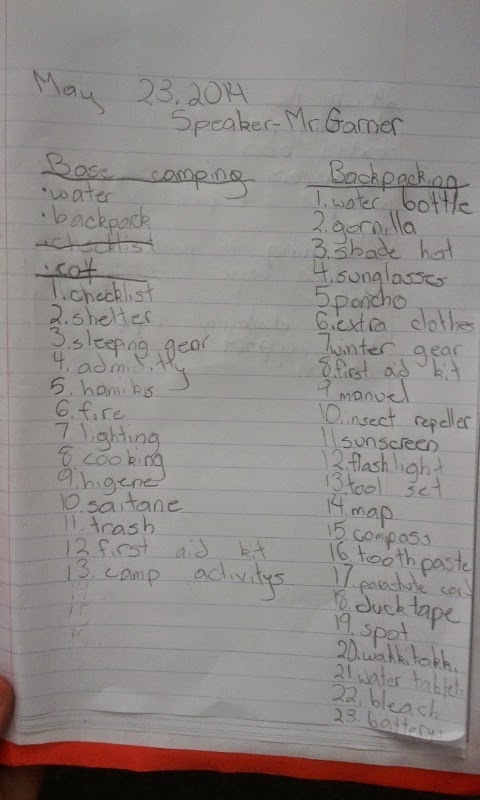 They learned about checklists and the many items that go into a successful camping trip. 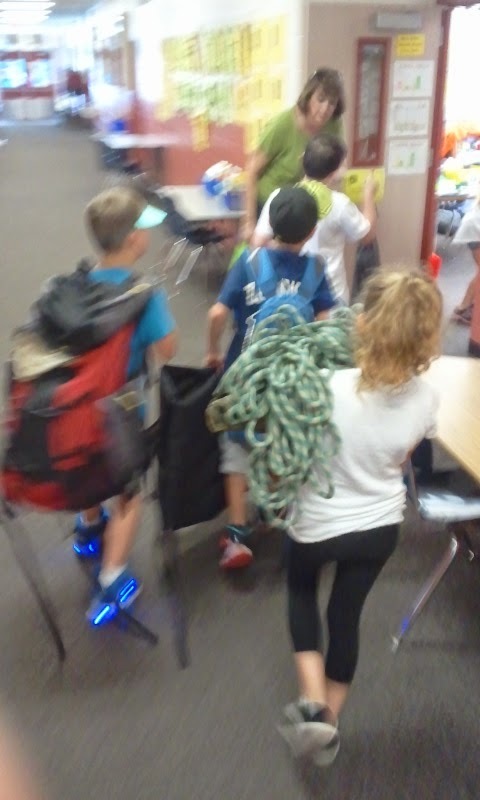 I showed them tons of gear and explained "The 10 Essentials" items that you should always have with you while camping. These kids were phenomenal. Several had already experienced camping before with their family. They were eager to share their stories and ask smart questions. Congratulations Jake & Amanda Loeffler!!! One of the great honors of being involved with a non-profit organization is meeting so many generous people. In 18 years of ministry we have had $1.5 million dollars in revenues (Don't get too excited, that's an avg of only $83,000 per year to run a full time year-round organization. Although that may sound like a lot, it hardly covers the expenses for all of the events & office overhead... then barely enough for very humble salaries for 2 full-time employees). BUT, did you know that of that $1.5 million, $500,000 (half of a million dollars!!) has come through thoughtful, caring, and generous donors. We are humbled & blown away by such generosity. Each year we honor certain people whose contribution to GTD has made such a vital impact that we couldn't operate without them. 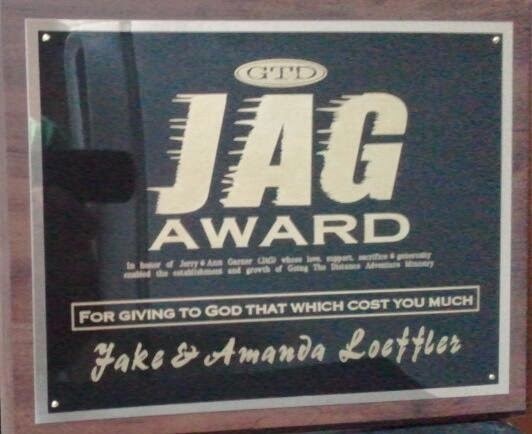 Our most recent recipients are Jake & Amanda Loeffler. 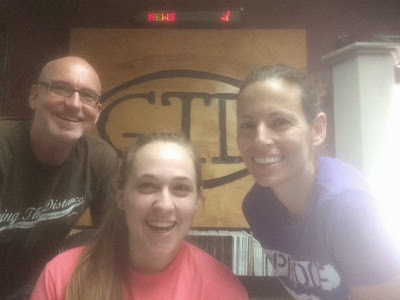 Over the past 10 years the Loeffler's total donations have exceeded $10,000 to GTD!! They have done that through regular consistent monthly donations. I can't tell you the magnitude of the impact they have had on this ministry through their generosity. In simple terms, we couldn't have done it without them. 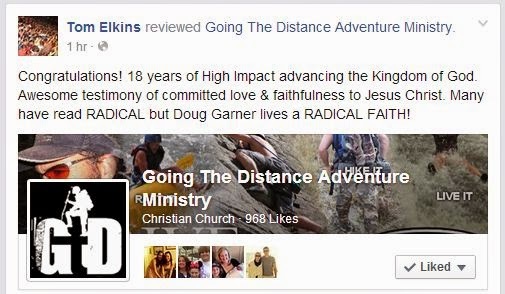 Thank you to my former young adult pastor from First Baptist Church of Indian Rocks, Tom Elkins, for his encouraging post on the GTD Facebook Page. Tom wrote, "Congratulations! 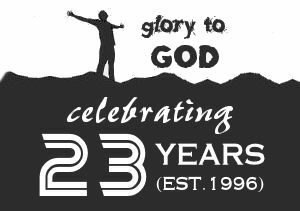 18 years of High Impact advancing the Kingdom of God. 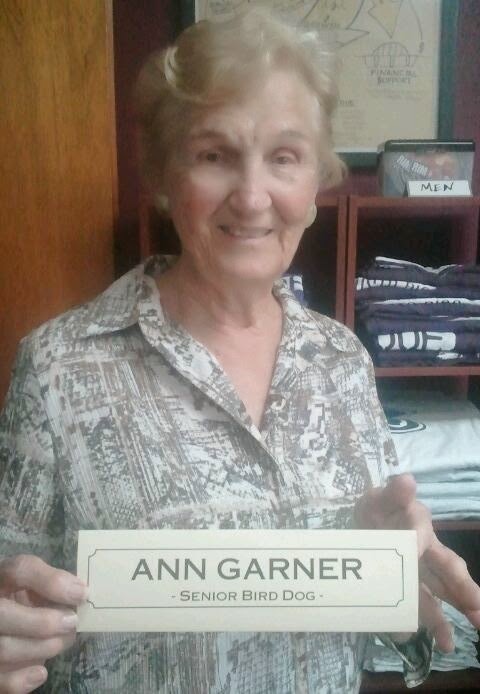 Awesome testimony of committed love & faithfulness to Jesus Christ. 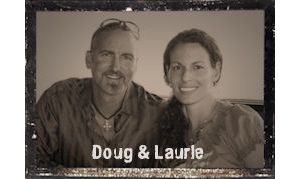 Many have read RADICAL but Doug Garner lives a RADICAL FAITH!" Tom and his wife Linda had a great impact in my life as you can tell by my response back to him: "Tom, thank you so much for your kind & encouraging words!! I can't tell you how often I think of you and the fond memories that I talk about frequently from your years as my college pastor & dear friend. Many of the messages that you preached and taught (as well as messages from Larry Mastromoro) continue to impact my life 25 years later. In fact, I rank the spiritual gifts test that you gave all the students as one of the top 5 most impacting & life altering moments of my life. It literally changed the course of my life once I understood what my spiritual gift(s) were/are. In fact, I share that story around the campfire probably 25 times per year as we teach & emphasize the importance of knowing your gifts, talents, abilities and inabilities. Thank you for the opportunity to serve under you in ministry and all the opportunities that you gave me and others to serve and grow and lead... thank you for your heart for Jesus and letting Him use you. God used you & Linda to have a huge impact on my life. Thank you so much! God bless you! 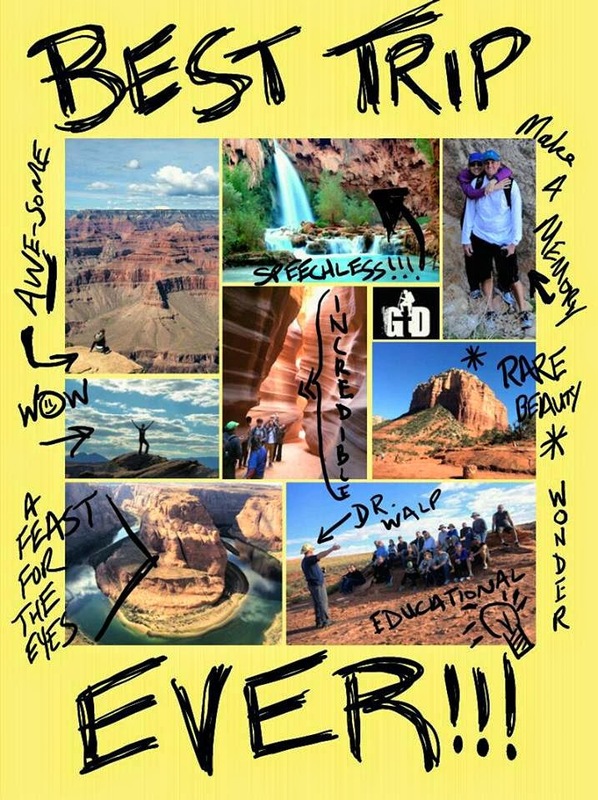 Much Love - DUG <><"
GTD + CBCC + Grand Canyon = Can't Wait For This Trip!!! We are excited & honored to have Calvary Baptist Church of Clearwater promote GTD's Grand Canyon Trip to their entire church!! It's going to be an amazing event with CBCC & Dr Aaron Walp!! 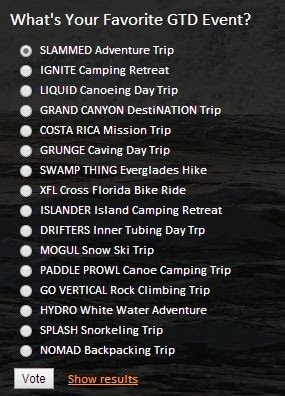 What's your ALL TIME favorite GTD event??? In 18 years of ministry GTD has hosted over 400 adventures with more than 8000 participants... that's a lot of God-awesome events! Scroll down the left side menu and vote! Almost 1000 "Likes" on Facebook!! 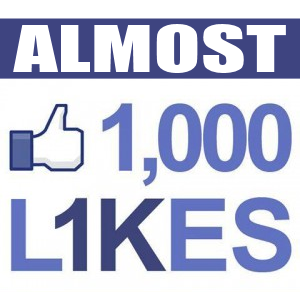 We almost have 1000 Likes on GTD's Facebook Page!! Help us hit quadruple digits!! 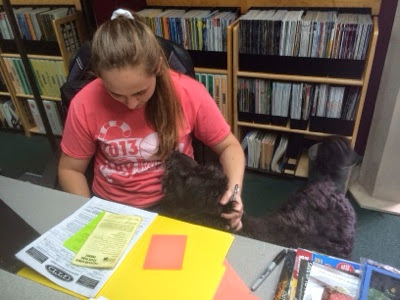 Thank you Jessica for stopping by the GTD office yesterday to volunteer your time. Your help means a lot! We wish you safe travels and lots of fun on your adventure through China this summer! We love you and can't wait to hear your stories!